Counting red Christmas candycanes for kindergarten and preschool. This worksheet contains pictures of red Christmas candycanes. 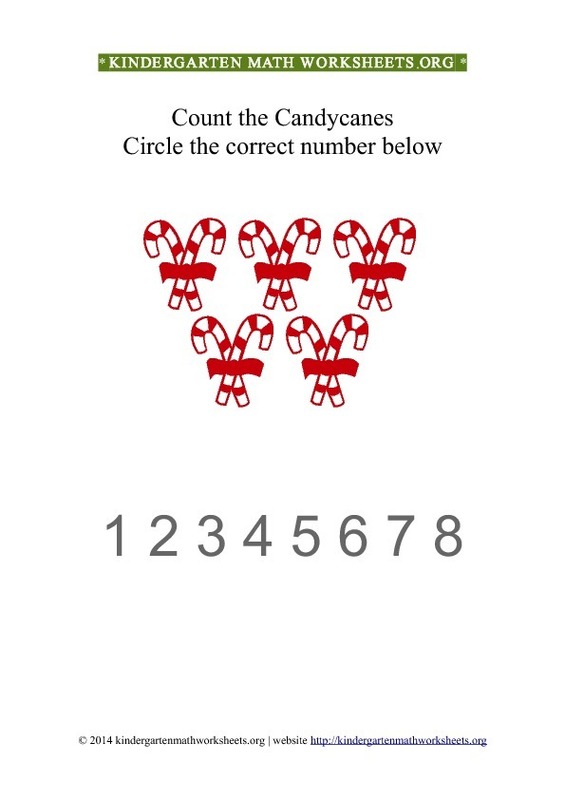 Count the total number of red Christmas candycanes and circle the correct number below. This worksheet is made available in the 1-8 numbers range. Counting skills is important in early education. These 1 to 8 counting worksheets for kindergarten with red Christmas candycanes will help your students get better at counting skills. Description of worksheet activity: This worksheet contains pictures of red Christmas candycanes that must be counted and circled.